A recurring theme in the annual Government Work Report, the latest edition of which Premier Li Keqiang presented to the National People's Congress on March 5,has been promotion of high-end manufacturing and the Belt and Road Initiative, and helping Chinese companies to globalize their equipment and homegrown technologies. The BeiDou Navigation Satellite System is a perfect example of that spirit. The go-global strategy is part of China's broad plan to build a BeiDou navigation system with a constellation of 35 satellites by 2020. In comparison, GPS consists of 24 satellites. "The globalization era for BeiDou is coming," said Miao Qianjun, secretary-general of the Global Navigation Satellite System and Location-based Services Association of China. The GLAC was founded in 1995 to promote the commercial application of BeiDou technologies. "China is supporting BeiDou's exports roughly the same way it supports exports of high-speed railway products and technologies. BeiDou will become another high-tech name card for China," Miao said. In February, the GLAC invited its enterprise members involved in BeiDou-related industries for discussions. With help from the National Development and Reform Commission, China's top economic planner, it set up an alliance for enterprises that seek to take BeiDou products and solutions to markets along the Belt and Road Initiative. "We've received affirmative responses from 27 enterprises within a week. They are all eager to be part of our efforts," Miao said, adding the alliance members will receive financial support from the government. "The close economic ties between China and ASEAN will pave the way for BeiDou's entry. More importantly, in Southeast Asian countries located in low latitudes, BeiDou is more accurate than GPS," said Ming Dexiang, director of the Beidou Open Laboratory, an agency that promotes commercial applications of BeiDou. Steady improvements to BeiDou's technologies have helped improve the accuracy of its navigation and location-detection systems. China announced earlier this year that BeiDou's satellites can locate ground-based users to an accuracy level of one or two meters of their exact location with the help of a new chip. Prior to this, BeiDou's accuracy level was a radius of 10 meters from the actual spot. Li Xueli, an engineer working with BeiDou, said: "For users, there are two big improvements. One is the time the system takes to process your journey. This is down from 30 seconds to just three seconds. The second improvement is the position accuracy. The system can now tell if the car is on the main road or side road." With precision of 1 to 2 meters, BeiDou is just behind the European Union's Galileo satellite system that gives consumers an accuracy level of just 1 meter. GPS' accuracy level is 5 meters while Russia's GLONASS satellite gives an accuracy level of 4.5 meters to 7.4 meters. Yang Yuanxi, an academician with the Chinese Academy of Sciences and a member of the CPPCC National Committee, said: "China will launch six to eight satellites this year. After constructing a network of 18 satellites by around 2018, we will serve economies along the Belt and Road Initiative." 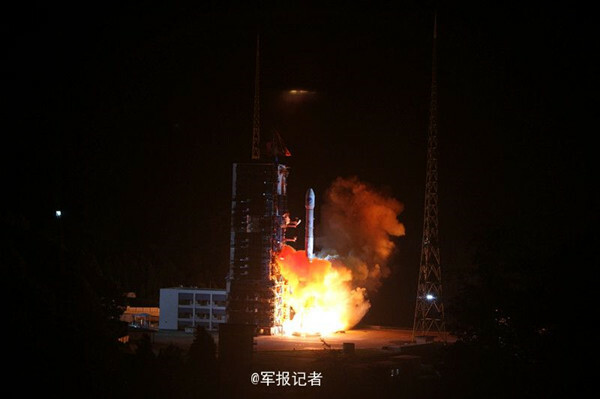 That will mark a long way from the first BeiDou satellite's launch 16 years ago. At that time, it was designed to serve the military. It was not available for commercial applications until 2012. As of August 2016, about 759 smartphone models supported BeiDou's navigation services, accounting for 21 percent of all smartphones, reflecting the enormous potential of China's navigation satellite market. In 2015, BeiDou was used to help Singapore in tracking vehicles. GLAC's Miao was instrumental in clinching this deal for BeiDou. A joint venture was set up to run the project. Singapore's Economic Development Board, a government agency for planning and executing strategies, poured 50 million yuan into it. Sun Jiadong, an academician at the Chinese Academy of Sciences and former chief designer of the BeiDou system, said: "Domestic trials are checking for possible applications in foreign countries. The globalization boom for BeiDou will come around 2021, but we need to start as soon as possible." 1. China has set up a BeiDou-powered monitoring system to track and help fishing boats in Nansha Islands as they have been involved in frequent mishaps due to ordinary equipment on board. So far, more than 30,000 boats have been equipped with BeiDou-enabled gadgets that can help fishermen contact others when telecom signals go weak. The equipment can offer digital messaging services, positioning, navigation notices, emergency help and information on weather and sea waves. It can also help fishery management departments to locate vessels, manage their navigation and extend help in time. BeiDou's system has been widely applied in many areas including fishery departments of the government, fishery companies, large fishing boats and individual fishermen in Nansha Islands. This has greatly reduced maritime accidents, brought IT to the marine fishery segment and professionalized information management in China. 2. China has set up a ship detection and monitoring system on the Lancang-Mekong River in southwestern China, using the BeiDou Navigation Satellite System. Southwestern China is known for its rapids, dangerous shoals and a large number of telecommunication blind zones. It has also been facing difficulties like straying foreign ships and international terrorism. The system also makes use of a GPS satellite and a GSM network, and creates a 3-D monitoring and communication mechanism. It is integrated with 3-D geographic information system that can provide users with clear images of landscapes, especially rapids. With simulated maps of the Lancang-Mekong River, the system visualizes land forms around and can guide the ships on safe and optimized routes. China plans to launch six to eight BeiDou-3 satellites in 2017. It is part of a plan to put 35 BeiDou satellites into space to form an orbiting satellite network and offer worldwide navigation services by 2020. China has already sent 22 BeiDou satellites into space.